Combine dressing in a small bowl or cup. Add dressing to vegetables and toss. 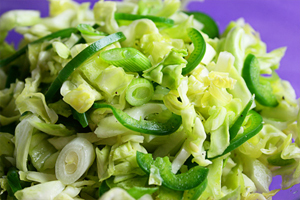 6 Comments on "Spicy Cabbage Salad"
Looking for cookbook please ~ I found one on amazon, I just ordered it, but am wondering if site recipes will be in there too !!! So loving all of them ~ so inspirational ~ I too am of polish descent and just smile with excitement to make so many of the dishes I helped my mom make !! So wish she was here to enjoy together !!! Thanks so so much ! The recipes in my cookbook are mostly here on this site but have been improved and simplified because I am a better cook today. 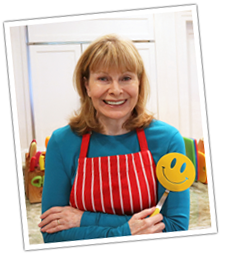 All of your recipes are so easy to print and even better, so easy to prepare and are healthy. What no mayonnaise? I have to try this, for I really like cabbage slaw, Did not think you were allowed to make cabbage slaw without mayonnaise. The Mayo Police could be called you know! Good stuff! Perfect for a potluck.